The maneuver he invented is believed to have saved more than 100,000 lives. Dr. Henry Heimlich, with Brent Meldrum, 5, and Tanya Brandon, 6. Meldrum used the maneuver to save his friend Brandon after she started choking on a piece of candy. 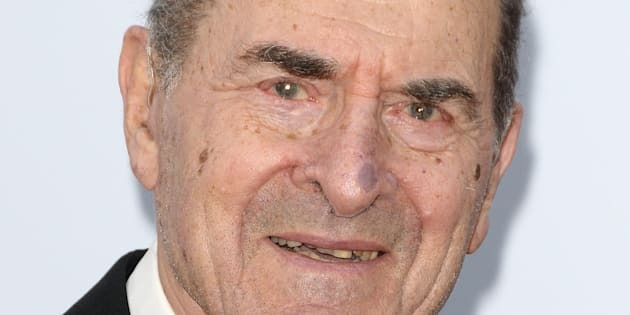 Henry Heimlich, the medical maverick who came up with a maneuver credited with saving thousands of choking victims but who damaged his standing as a proponent of the curative powers of malaria, died on Saturday at the age of 96. Heimlich, a doctor who developed a life-saving technique to dislodge airway blockages, died at Christ Hospital in Cincinnati of complications from a massive heart attack he suffered on Monday, his family said in a statement. A thoracic surgeon who often feuded with the established medical community, Heimlich said the maneuver which was named after him saved more than 100,000 lives. He claimed to have used it himself last May on another resident of the Cincinnati retirement home where he lived. “It made me appreciate how wonderful it has been to be able to save all those lives,” he once told the Cincinnati Enquirer. Heimlich came up with the ground-breaking technique in 1974 after reading about the high rate of deaths in restaurants that first were attributed to heart attacks, but later found to have been caused by diners choking on food. An ordinary person could be a hero with “the Heimlich Maneuver” - it requires no equipment, no great strength and only minimal training. The popular wisdom at the time called for repeatedly slapping the back of person struggling with an obstruction of the passage to the lungs. But Heimlich, who was then at Jewish Hospital in Cincinnati, believed the back slaps could force the blockage deeper. To prove his method, he took anesthetized lab dogs, blocked their windpipes with hunks of meat attached to strings in case of emergency and developed a technique that would send his name around the world. The Heimlich Maneuver called for the rescuer to stand behind the choking victim, apply the thumb-side of a fist to a spot just under the diaphragm and between the lungs. By pushing sharply on that spot, a surge of air from the lungs would then expel the blockage. Heimlich wrote about his discovery for a medical journal and it began to spread due to media coverage. A man in Washington state who came to a neighbor’s rescue was credited with being the first person to use the Heimlich Maneuver shortly after reading a newspaper story about it. The charismatic doctor also busily promoted the technique, including appearances on late-night television talk shows with Johnny Carson and David Letterman. Heimlich collected anecdotes about Heimlich rescues throughout his life. Among them were the aide who saved Ronald Reagan during his 1976 presidential campaign and Tom Brokaw coming to the aid of fellow NBC newsman John Chancellor. It took more than a decade for the medical establishment to adopt the Heimlich Maneuver, partly because there had been no official human trials. The American Red Cross recommended it only as a secondary method to back-slapping. In 1984, Heimlich was given the prestigious Lasker Award for public service. A year later C. Everett Koop, then the U.S. surgeon general, said the Heimlich method should be “the only method” used for choking victims. In 1986, it was officially recommended as the primary anti-choking technique by the Red Cross, although the organization would reverse that decision in 2006, saying “abdominal thrusts” should only be a secondary method. As the Heimlich Maneuver became part of American culture, its namesake sought more innovation. He thought his technique should also be used to clear mucus from the lungs during an asthma attack and was better than cardiopulmonary resuscitation for drowning victims - claims that were dismissed by authorities such as the Red Cross and the American Medical Association. Heimlich damaged his credibility further by espousing malaria therapy, saying the high fevers of malaria stimulated the body’s immune system enough to counter AIDS, cancer and Lyme disease. The U.S. Centers for Disease Control and Prevention discounted that theory, but under Heimlich’s direction, human malaria therapy trials were conducted in Mexico, China and Africa because they would never have been permitted in the United States. Heimlich’s work with malarial therapy to fight AIDS was briefly a popular cause in the mid-1990s, especially in Hollywood, where celebrities hosted fundraisers for his research and donors included Jack Nicholson, Bob Hope and Ron Howard. Dr. Edward Patrick, a longtime collaborator who died in 2009, issued a press release in 2003 saying he was the co-developer of the Heimlich Maneuver. Heimlich also was credited with inventing a valve that bears his name and is used to prevent air from filling the chest cavity in trauma cases. Heimlich and Jane Murray, daughter of dance school magnate Arthur Murray and a proponent of alternative medical methods, were married from 1951 until her death in 2012. They had four children.